Yes, they all do it differently and for different reasons. The places they visit, the sights they see, the events and excursions they each take part of — and of course their styles of writing — each are as varied from the next as possible. But all of them are also alike in their love of travel and their urge to inspire others to do the same. And in my opinion, they all rock! While some prefer to go it alone, others such as this week’s interviewees have mastered the skills of parenting a nomadic family. I cannot imagine that being an easy task, so extra respect goes out to those that do. I can see no better, more worldly way to raise educated children. And now, without further ado, I present to you the Flashpacker Family! Greetings. So tell us more about the family and your blog. We’re a family of three from Christchurch, New Zealand – Bethaney (that’s me), Lee and our just-turned-two-year old Reuben. I started our blog, Flashpacker Family, in March 2012. It’s taken me a few months but I’ve just now found “my voice”. I really enjoy the writing about our travels, past and present. Once I got into it, I quickly realised what a huge part social networking plays in blogging and I’ve come to love that as much as the writing itself. I love the community aspect amongst travel bloggers, particularly within the travelling family community. Lee has worked for himself online, making money one way or another, since his late-teens. He’s never worked for anyone and most of the time he never has to get out of bed for work! He lived his own “Four Hour Work Week” way before anyone had even heard of Tim Ferriss!! He knows a lot about SEO which has really helped me with my blogging. What made you all decide to become a nomadic family, anything in particular? The fact that Lee’s income was already location independent was a big part of us wanting to live a nomadic lifestyle. We have both travelled extensively in the past but were stuck in a bit of a rut after having Reuben. We’d intended to spend around three months of the year travelling – alternating between warm weather trips for me and cold weather trips for Lee. We just never did anything about it until the earthquake in Christchurch in February 2011. I want to say I love how your family dealt with the earthquakes. Something that most people would turn into a tragedy, you turned it into an opportunity. Can you tell us more about it? The earthquake in Christchurch in February 2011 hit us pretty hard – both physically and emotionally. Our house was close to the epicentre of the quake and suffered some damage. Because of the constant quakes and a lack of power and water, we hightailed it to Australia and rented an apartment for 6 weeks. It really made as re-evaluate our priorities. We realised that all the “stuff” we lost in our house wasn’t important. We wanted to spend our time and money on creating meaningful experiences as a family. In my view, travel was the best way to do this. Lee’s location independent income gives us the opportunity to spend a good portion of the year abroad. We still have a house in Christchurch and we’d love to sell up and become permanent nomads but realistically it’s very difficult to do this in a post-earthquake environment. We love the nomadic lifestyle but, for Reuben’s sake, we need to travel slowly. Renting a house or apartment for a month in between travels works well for us. We’re happy being semi-nomadic at the moment. Seems like you have been a little of everywhere. How do you go about picking these destinations, and what type of criteria determines where you all will be going next? I’ve explored most of South East Asia and I do love it there but for now I’m done with this part of the world. The more I read the blogs of others, the more I realise here’s so much of the world I have yet to see. I was based in London for 2.5 years and got to see a lot of Europe and a little of the Middle East while I was there. The rest of the world remains largely unexplored for me. I love warm climates and exotic destinations that are a bit of a challenge. Lee loves cold climates, winter sports and living in luxury. We try and divide our time between climates and comforts equally. We just backpacked for two months from Bangkok to Singapore so our next trip overseas is going to be a ski holiday in Colorado. I was fortunate enough to travel abroad when I was young and still feel lucky about it. 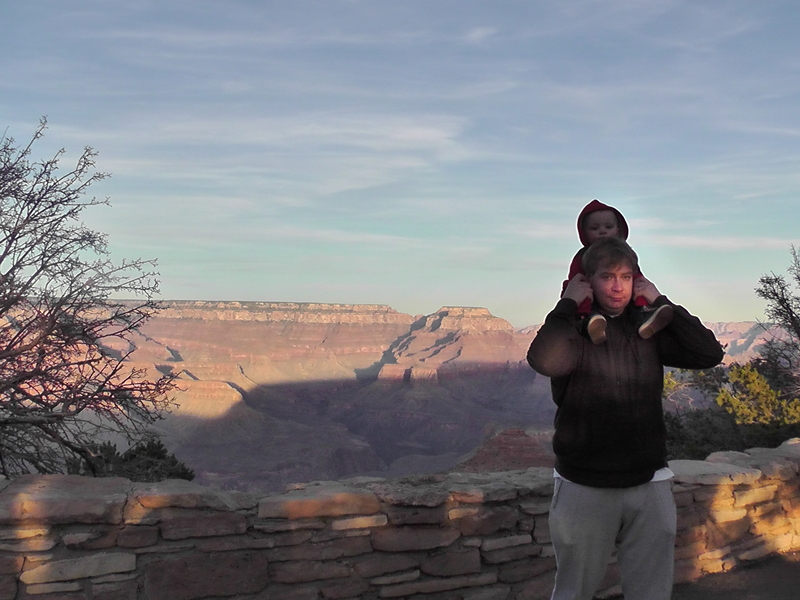 Have you noticed any little changes in your son yet that your might attribute to traveling? Absolutely! I can definitely see that travelling is good for his mental, physical and emotional development. I do believe he suffered from a bout of culture shock when we first reached Thailand but after a few weeks he’d adjusted to the sight, smells and sounds of Asia and he blossomed. His speech really took off during our time in Asia. He was seeing things and learning words almost instantly, all outside the realm of a normal Western toddler. Emotionally, he’s learnt to be adaptable to new surroundings – he loves exploring a new hotel room! He’s learnt that travel requires patience, persistence and a positive attitude. I love that he doesn’t need an array of toys and games to have fun. He’s happy to play with whatever we find on our travels – a favourite activity being sweeping the patio of our beach bungalows! I think the greatest benefit from travelling with young children comes from spending constant quality time together with both Mom and Dad. That in itself will do wonders for any young child. From what I can tell you seem to be quite the more experienced traveler then Lee. Has there been any rough adjustments on his part or did wanderlust kick in immediately? Lee did a lot of travel with his family as a child, he’s been to as many countries as I have, but almost exclusively in the Western world and at a luxury level. It’s been somewhat of a challenge to marry our travel styles. He likes 4-star holidays and I like backpacking – flashpacking is where we meet in the middle. He’s always had wanderlust but it’s always been within his comfort-zone. It’s my job to push him past this and expand his horizons. Our first overseas trip together was our honeymoon. We spent a week in Tokyo which was fantastic. He hadn’t been to a non-English speaking country in 10 years but he loved the culture, food and general weird-ness that is Japan. 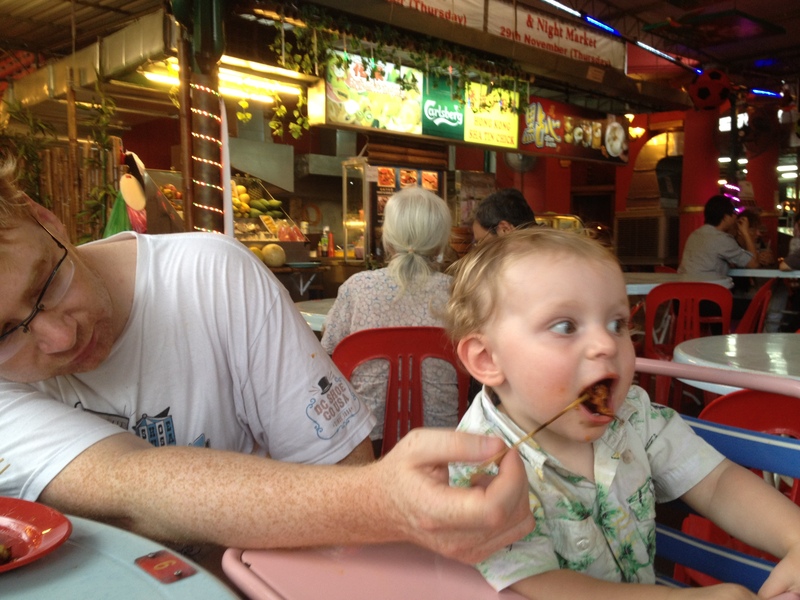 It definitely took him a while to adjust to Thailand. We stayed in cheap places for the first few weeks and, though he tried really hard, when we increased our hotel budget by $10 a night he was a lot happier. Though he found it hard at times, he definitely went through some personal growth because of it. I feel more confident in his abilities to enjoy developing countries now. What has been the most challenging issue that you have had to deal with while traveling as a family? Travelling with a baby is easy. Travel with a toddler is a whole different ballgame! In fact, from consulting with other travelling families, the toddler years are the most difficult years for travel. 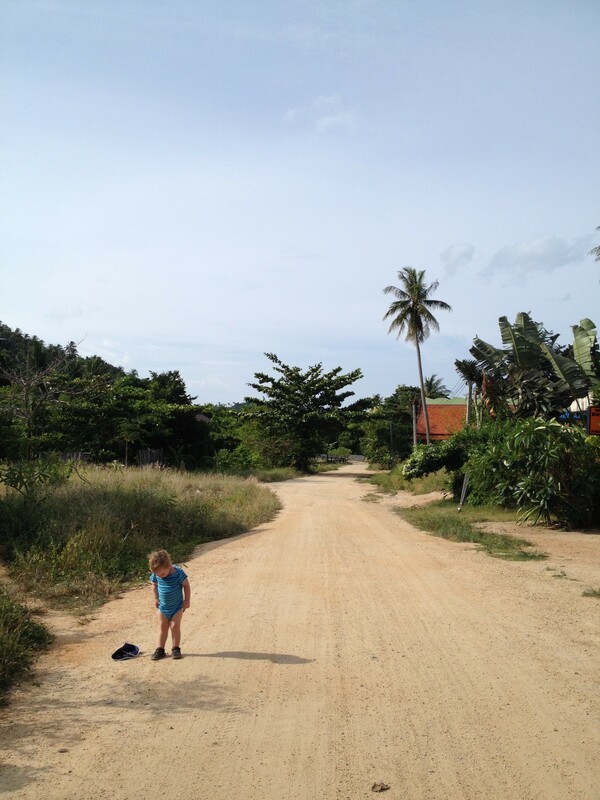 Our first two weeks in Thailand, Reuben was at the stage of knowing what he wanted but not being able to communicate it. The result was raging tantrums, all day every day. We saw him push through it and his behaviour turned a corner when his speech started to flow. I guess this would have happened wherever we were in the world. The toughest things for me was realizing that travelling as a parent is a lot different to travelling solo or as a couple. I found myself very jealous of all the loved-up couples and partying singles enjoying their vacations, working on their tans and reading their books in a hammock. I definitely had to mourn those carefree days as a single backpacker. Travelling with a child is never a vacation. You’re still a Mom or a Dad wherever you are in the world. I soon realized that what we had was ultimately more rewarding – we had a permanent travel lifestyle while most of these folks were on their annual two-week vacation. Out of all your travels, which location has been the most family-friendly or most-engaging area for a nice family trip? Without a doubt, the United States is the most family-friendly destination we’ve been. We spent six weeks in Las Vegas and, despite it’s nickname as Sin City, we found it incredibly easy to travel with a child. Not only were there plenty of activities for families, because so few babies travel to Vegas, Reuben was treated like royalty wherever we went! We love how open and friendly Americans are. Everyone wanted to get to know us, hear about where we were from and what we thought of their city, state or country. The roads in the US are excellent and roadtripping is a great way to get around. The National Parks are super educational for older children. Young children are catered for in every restaurant and hotel – we never encountered anywhere that didn’t have a portacrib, highchair or a reasonably priced children’s menu. The service culture in America is so different from New Zealand or Australia. Waitstaff are so engaging and good at their job – because they work on tips, nothing is ever too much trouble. That’s great if you’ve got a fussy baby. If you’re coming from New Zealand or Australia, the US is excellent value for money at the moment. The economy down-under hasn’t suffered as much as in the US and consequently our dollars both go really far. I understand that you all are from New Zealand, but when you researched the country as if you had never been, did you find anything new or interesting that you’d overlooked as a resident? Lee is actually English. His family moved to New Zealand around 15 years ago. In fact, Lee’s dad must be one of the original location independent professionals! He still runs his business in the UK remotely after all this time in the Southern Hemisphere. They moved to New Zealand for the relaxed lifestyle and the outdoors. It really wasn’t until I left New Zealand and travelled the world that I realized what a fantastic country it is. We have spectacular scenery here but, to me, that’s just normal! Seeing New Zealand through the eyes of a world traveller brings a different perspective. Reading through a Lonely Planet, I realize that most of the places we’re famous for are destinations I’ve yet to see! I’m quite ashamed that I haven’t been to Lake Taupo, Rotorua or the Milford Sound. I’m resigned to the fact that I need to explore my own backyard more. We’ve got two New Zealand trips coming up in the next few weeks so stay tuned to my blog for details! Do you have any tips or recommendations for any other traveling families? What are some of the secrets you have learned from the road? We have a great forum on Facebook called “Families on the Move” which is home to over 200 travelling families. Whenever I have a question about how to something on the road, I know that there will be someone out there who’s been through the same thing! It’s a really wonderful, supportive community. The number one tip any travelling parent will tell you is SLOW DOWN! Travelling with kids takes a lot more time and energy than rolling solo. Plan on only seeing a third of what you would as a single traveller. Kids need downtime. Build this into your itinerary. For every week or two of solid travel, plan a week of doing nothing – sitting in a hotel room, reading books, colouring and going to the pool or park. Over-stimulation results in cranky kids. Know your children and know their limits. My second tip would be – don’t be afraid to go! Wherever you’re planning on heading, someone will tell you that it’s not an appropriate place for kids – be it Las Vegas, Cambodia or Mexico. There’s always nay-sayers out there. The fact is, wherever you go in the world, people are raising children. So long as you’re prepared and know what you’re in for, travelling with kids is great fun. What are your thoughts on raising kids while traveling? Are you part of a traveling family now, or were you raised that way in the past? Thanks so much for interviewing me Derek. The result was great!!! I love these travel blogger interviews. Even when I already read the person’s blog, I learn new things about their travel story and inspiration. The pictures of baby Reuben are so cute!